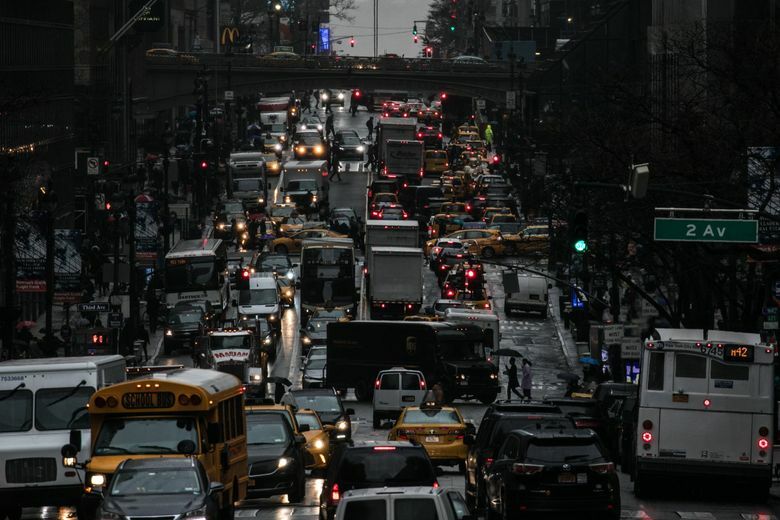 New York made history last month when it became the first American city to approve congestion pricing, which would charge a toll to drivers entering the busiest stretches of Manhattan and spend the money on transit, including the city’s troubled subway system. In Seattle, political leaders are also exploring a plan to toll city roadways to reduce congestion. “I think it makes a lot of sense for us to move to congestion pricing to, one, increase mobility and safety downtown and, two, to really restrict some of those greenhouse gases that are released in the urban corridor,” Mayor Jenny Durkan said last year. Her 2019-20 budget allocated $1 million to continue studying congestion pricing in downtown Seattle, which builds on a $200,000 study included in the 2018 budget. But the idea remains deeply unpopular: In a Seattle Times poll, 70 percent of respondents said they opposed or strongly opposed tolling the downtown core. 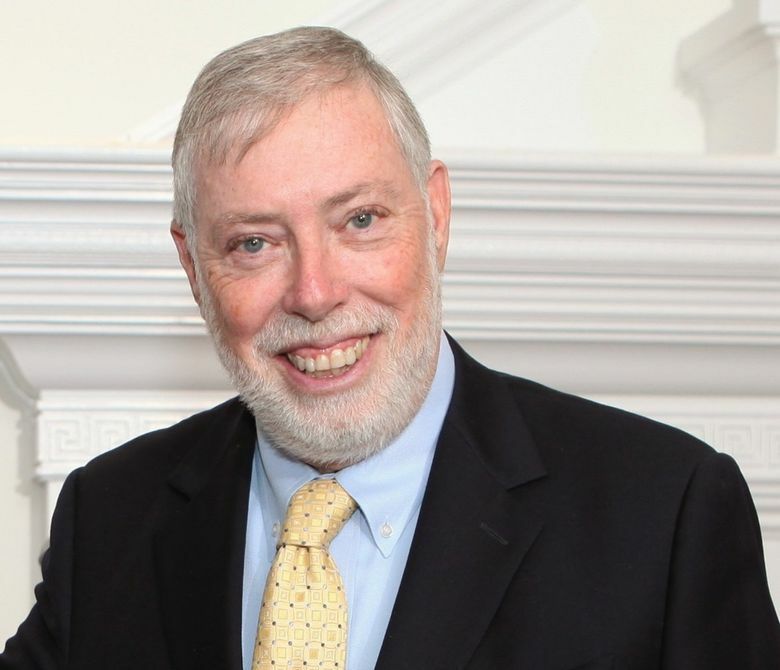 In our third Traffic Lab Ask An Expert Q&A, we talked with Samuel I. Schwartz, a traffic expert who helped develop New York City’s congestion pricing plan. Do you know of any experts you think we should feature in one of our Q&A’s? Nominate them here. Question: What is your definition of congestion pricing? Samuel I. Schwartz: Congestion pricing is something that should be applied where you have severe congestion, and you have good alternatives. In this case, it was the Manhattan Central Business District, and congestion is awful. So by pricing cars coming in, we hope to reduce the number of vehicles and, as a result, reduce congestion. Q: What has been your official role in this effort? S.S.: I worked at the New York City Department of Transportation from the 1970s to the 1990s. We got pretty far with congestion pricing. Then, I was an adviser to former Mayor Michael Bloomberg when he was a candidate. He tried it again. But in the past 10 years, since Bloomberg’s plan failed, I started spending my own time and money trying to revive congestion pricing. It was very lonely at first. Sometime around 2013, Alex Matthiessen and Charles Komanoff approached me, and we became Move New York. The three of us made the rounds from 2013 to 2017. By mid-2017, nobody believed congestion pricing was remotely possible. But then, in a surprise to all of us, the governor announced on Aug. 13, 2017 that the time for congestion pricing had come. I participated in one panel the governor convened that resulted in for-hire vehicle charges. Then a city-state panel I was on recommended a congestion pricing plan that’s very similar to the one that’s now being adopted. Q: What’s the next step for New York’s plan? S.S.: The geographic area has been defined. There are some exemptions for low-income people living in the zones. There are also exemptions for vehicles carrying people with disabilities, but none of those have been spelled out very clearly. A six-person panel is going to be appointed: three from the governor, one from the mayor, one from the Long Island region, our eastern suburb, and one from the Westchester region, our northern suburb. The panel won’t make its recommendations conveniently until Nov. 20, which is after the next statewide elections. At that point, the MTA (Metropolitan Transportation Authority) should already have all of the hardware in place and will adjust the system to reflect the recommendations of that panel, if it all goes well. Q: Is there a chance this plan could still get derailed? S.S.: Absolutely. New York is a very litigious city and state. So there may very well be a lawsuit coming. I’d be surprised if there wasn’t. In the 1970s, tolls were going to be put on the Eastern Harlem River Bridges. We were so sure we had it done then, and then an act of Congress stopped it. Q: In a Seattle Times poll, 70 percent of respondents said they opposed or strongly opposed charging a toll to enter downtown Seattle as a way to reduce congestion and raise money for transit. How does a city create the political will for such an idea? S.S.: You’re asking people to pay for something that they’re not paying for now, and you will get a negative reaction. A lot of the elected officials in New York were forced into it because there is a crisis. They face crumbling subways and traffic grinding to a halt. It was at 4.7 mph [on average] in midtown Manhattan. You can blame it on Uber, and Lyft, and microdeliveries, but as a result, people said, “We can’t take it anymore.” What’s going to happen is over time, the majority will oppose it and then afterward, the majority will support it. Q: How do you find the sweet spot of the price of the toll to charge? S.S.: It could be by trial and error. I would hope by 2021, the technology could allow for that to be dynamic. For example, if the travel times to cross town exceed 30 minutes, the price goes up. If it goes below 30 minutes, the price goes down. In New York, the correct price is part of an equation that in the end has to equal $1 billion annually, net, to provide a sufficient enough revenue stream for the subway system and the railroads. Q: What are the best uses of revenue generated from tolls? S.S.: For most of the country, it’s buses. I would suggest many cities start thinking about micro-transit as an answer, too. Government-supported micro-transit is a better way to offer really good service to lower density areas where a subway or streetcar may not make sense. Q: Are there any challenges in Seattle that concern you about implementing such a system here? S.S.: We have a minor role on a team that’s looking at it. I see Seattle as an incredibly progressive city and a city in which a lot of people can, in fact, see the benefits of an area having less traffic congestion, greater safety, more pedestrian activity and better transit. Q: Part of traffic congestion is due to trucking and package deliveries from businesses. How can Seattle avoid being seen as anti-business if congestion pricing were to go into effect? S.S.: It sounds like the more powerful are being heard. Business went up in the congestion pricing zone in London. Business went up in the congestion pricing zone in Stockholm. What doesn’t work for business is paralyzing traffic, awful transit systems, trucks that are just stuck in traffic and can’t move. Businesses end up being winners with congestion pricing. Q: As Seattle becomes a more expensive city, some people are moving out to the suburbs to afford housing. In many areas, transit is not as convenient, and those people drive in to the city for work. How do cities implement congestion pricing without disadvantaging lower-income people and making mobility a luxury good? S.S.: The first thing for any city to ask itself is, is the system equitable now? It costs people a lot of time now in traffic congestion. They don’t have good alternatives. New York is spending $50 million per year from a charge on for-hire vehicles on improving transportation in transit deserts — areas that are not well served by transit. If you’re really looking at equity, you take some of the revenue stream and put it into making some of those poor transit services into higher-quality transit services. Q: Is congestion pricing regressive? S.S.: Seattle, New York and all the large cities have to start thinking of their space as very precious and price it appropriately. In 1935, when Oklahoma City introduced the first parking meters, people screamed how un-American they were. Now, none of us think twice about having to pay for parking in downtown areas. If you look at who’s creating the congestion, who’s creating the pollution, who’s affecting climate change the most, it’s the motor vehicles. Pricing them seems to be a fair way of addressing all those ills we have to live with.